If you ask me about the theory on universe's origin then I think (other than Big Bang Theory) the theory of evolution by natural selection is quite considerable and is also one of the most encompassing theories Homo sapiens have ever presented. 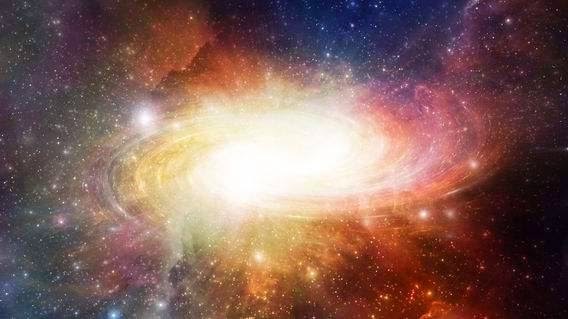 As this theory was originally proposed in biology so, for a cosmological perspective, researchers are trying to use the same concept of theory of evolution by natural selection in order to explain the origin of the universe. So the question is, what if the laws of physics as we know them have been first fine-tuned over the eons, by evolutionary processes, where universes generate offspring through black holes? That idea might not be insane as you think. "Cosmological natural Selection" is also recognized as 'fecund universes theory' and it was first suggested by Lee Smolin (You can learn about Lee Smolin here). Lee Smolin has made revisions to his hypothesis, but the basic idea for better understanding is simple: can we use the evolutionary termis in order to describe the universe as we know it. This type of hypothesis can explain many aspects of universe, for instance why the fundamental constants of physics are so conducive to live. After all, universes containing large quantities of matter (which allows for the formation of the things we see) are more likely to spawn black holes – in other words, universes containing the ‘stuff of life’ have a better chance of ‘reproducing’ than those that don’t. Obviously, natural selection in this way would favor universes that were able to produce more offspring. This theory is basically multiverse theory. These universal offspring would produce in black holes and genetic mutations allow for several physical constants to accompany the new baby universe. There is more, according to conventional physics, info can’t really travel through the event horizon of a black hole, and this essentially generates a universe inaccessible to the parent universe. The point of the cosmological natural selection hypothesis has been made, using darwinistic expressions; you can define the nature of the universe. The hypothesis is very far from having any actual physical evidence supporting it. From a scientific viewpoint, Smolin’s hypothesis does made falsifiable calculations, mostly concerning inflation and the neutron stars, that have held up to study.